It’s been a long time since I’ve posted here. 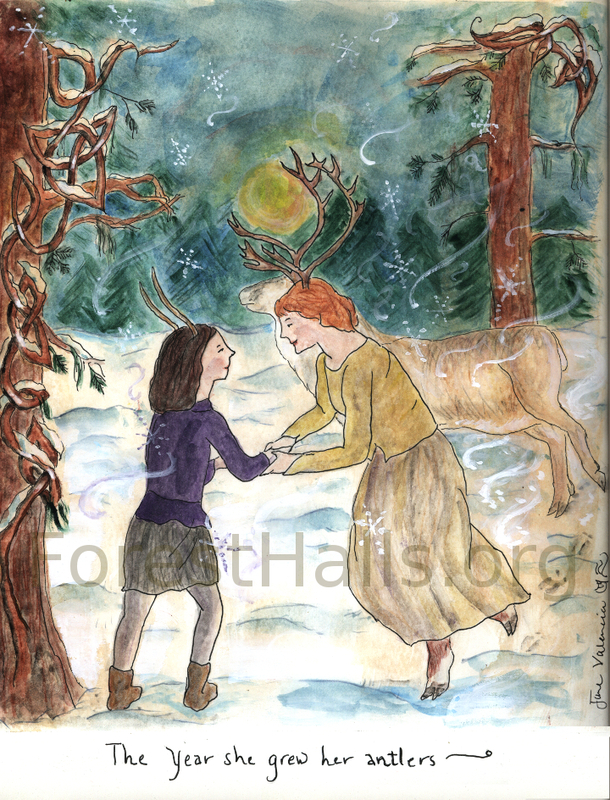 The deer have been strong in my life — with sweet and sad encounters with these creatures. One such encounter involved a fawn who had been hit by a car, and its cries of pain and fright as it was carried out of a ditch by two kind women. When nothing was left to be done, I sang to it, the softest of wordless sounds for a time, and then opening to words with such Threshold Choir songs as “Let Me Lie Down,” “May Peace be With You,” and “River, Going Home” — a beautiful song by Barb Adams, co-director with me of the Vashon Threshold Choir — and other chants. All these songs as the fawn passed away. I never guessed that my second attendance with song at death would be for a spotted fawn who had barely known life. These days, I’ve been in deep discovery with plants, and they have had much to teach me, much to share — especially as I apply Body-Mind Centering® practices to my explorations. Invariably the deer are present as well, moving through the meadow, or lying in the grasses. I had something of an epiphany today with Hawthorn in a place where the deer had bedded only hours before, and I realized that it is time to resume my Deer Medicine Healing practice — and, dear Reader — to share that practice with you. 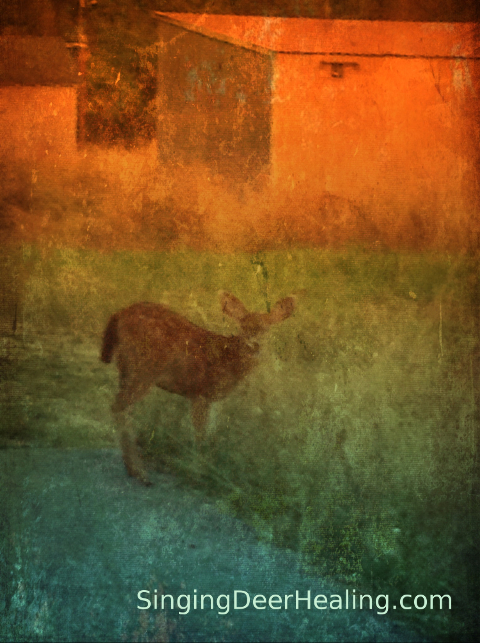 Deer Medicine, plain and simple, is about deep listening. It’s about being as present as you possibly can in a moment, and using all the senses you can (even senses you can’t really identify with your thinking mind) to discern what is needed in that moment. If you are with someone in pain (of mind, of body) or even someone who is dying, you are listening and opening, being with them with the whole of your heart, the whole of yourself. Often you are doing what seems like “nothing” — as you hold them with your heart, hold them in a sheltering and witnessing space, hold them with an attunement to the Sacred that is the true nature of the world around and within each one of us, and which threads us altogether. You are listening, listening. Waiting for something to emerge that feels undeniably like the right small gesture to offer. For me, sometimes it’s a gentle song in the softest of voices, or a melody that emerges that is the breath of the moment, the medicine that softens a resistance, that soothes like a fresh rain. Other times, I invoke Reiki, or speak silently with the plants, and that healing grace infuses the space and offers its own harmonizing and strengthening qualities, working in a mysterious but very real way. I can’t always tell at the time what good has resulted, but something is surely present, and I have come to trust its own timing, its own movement. You have your own medicine ways. It may not be with song, or with plants, or with energy — but if you are reading this post, I’m certain you have your own creative healing magic. Tell me, dear Reader — when do you find yourself listening, listening, deeply with every cell in your body? What do you find yourself doing or offering or holding in response? If you wish, please share your reflections in the comment box below (you’ll need to scroll down to find it). Before I go, I have some exciting news to share with you. 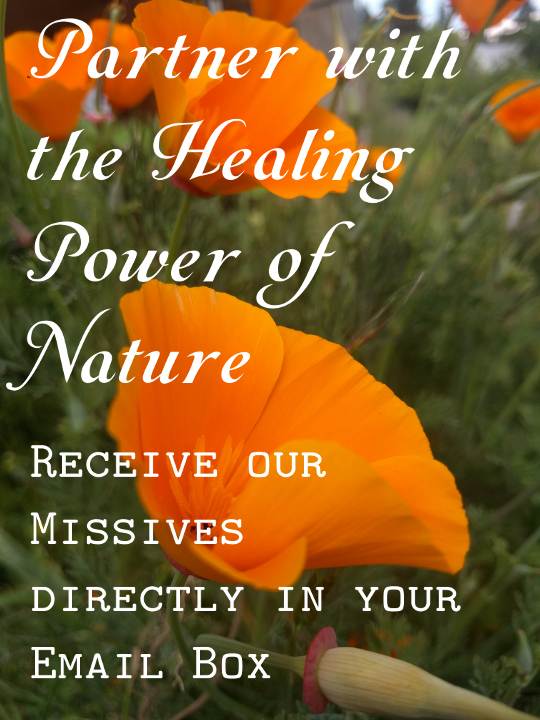 My dear friend and colleague Stacey Hinden and I have created a brand new offering for women! It’s called Women’s Nature Ways, and it weaves our 50+ years combined experience exploring the realm of deep inner and outer ecological wisdom. 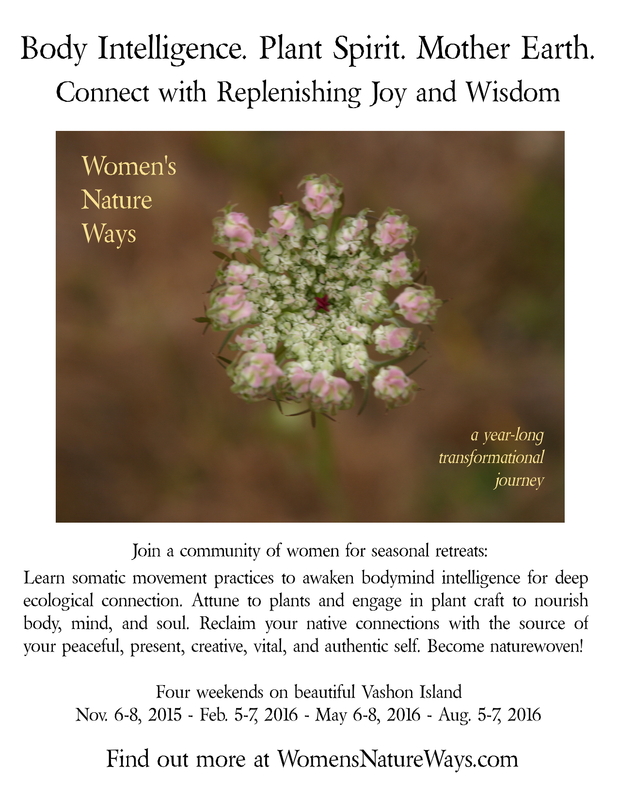 We’re inviting an intimate group of 10 women to retreat with us four weekends a year here on our beautiful Vashon Island home to explore somatic, energetic, and wildcrafting practices to awaken our connection with bodymind intelligence and plant spirit. 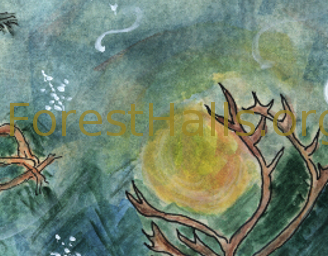 We’ll slow down and explore both in the studio and out on the land – moving, communing, wild-harvesting, creating, cooking, visioning, and tapping the wellspring of our most grounded, loving, powerfully-attuned selves.